Bryan Konietzko, co-creator of The Legend of Korra & Avatar: The Last Airbender, has revealed on his tumblr page the first images from the upcoming The Legend of Korra Book 3: Change. 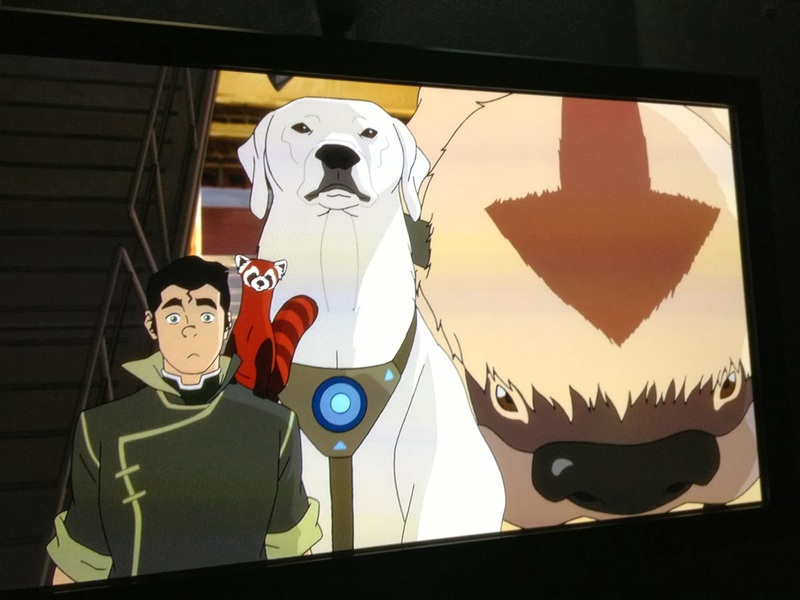 It features Bolin with a trio of furry creatures: Oogi the flying bison, Naga the polar bear dog and Pabu the fire ferret. This is by far the confirmation that we've been waiting for that the team behind the show is busy on the post-production of the first few episodes of the new book. The story will begin a few weeks after the events in the finale of Book Two: Spirits and is expected to have a total of 13 episodes. Check out this new image from The Legend of Korra Book 3: Change. Book Three of The Legend of Korra: Change will explore how the world's energy has shifted since Harmonic Convergence and the battle with Vaatu. No word yet has been announced as to when The Legend Of Korra Book 3: Change will premiere, but we can expect the first episode to air sometime later this year.